1) What is Web Portal and give some Examples? 2) What are the Types of Ecommerce Applications available in the IT Industry? 3) What are two advantages of Electronic Commerce over Traditional Commerce? 2. A streamlined buyer-to-seller relationship. 5. Time and overhead costs. 6. Reduced time to complete transactions. 7. Easier entry into new markets. 10. Wider access to assistance and advice. 12. The ability to streamline and automate purchasing. 4) How Testing is crucial in ECommerce? Testing is crucial to e-commerce because e-commerce sites are both business critical and highly visible to their users; any failure can be immediately expensive in terms of lost revenue and even more expensive in the longer term if disaffected users seek alternative sites. Yet the time pressures in the e-commerce world militate against the thorough testing usually associated with business criticality, so a new approach is needed to enable testing to be integrated into the development process and to ensure that testing does not present a significant time burden. 5) How to test Payment Gateways in Web Portals? Using dummy card ids, we can test Payment Gateways. 6) What is Online Shopping Application and give some examples? Online Shopping Application provides business gateway between Product vendors and Customers. 7) What is the difference between business-to-business and business-to-consumer Electronic Commerce? Business-to-business electronic commerce is conducted between two separate businesses, such as a large company needing office supplies and an office supply company. Business-to-consumer electronic commerce is between one individual and a company selling goods or services. 8) What are the possible drawbacks of Electronic Commerce? Increased vulnerability to fraud; difficulty protecting intellectual property; risks to confidentiality; problems over taxation; customs requirements; regulations; credit card fraud; security; trust problems, and constant availability. 9) What are the payment models for Electronic Commerce? The e-cash model, the check model, and the credit model. 10) How does Web marketing create a more personalized approach than radio or television advertising? By allowing users to select the ads they would like to pursue; in radio and television advertising, the viewer or listener is more of a passive recipient of the information. 11) How to set Up an ECommerce System? 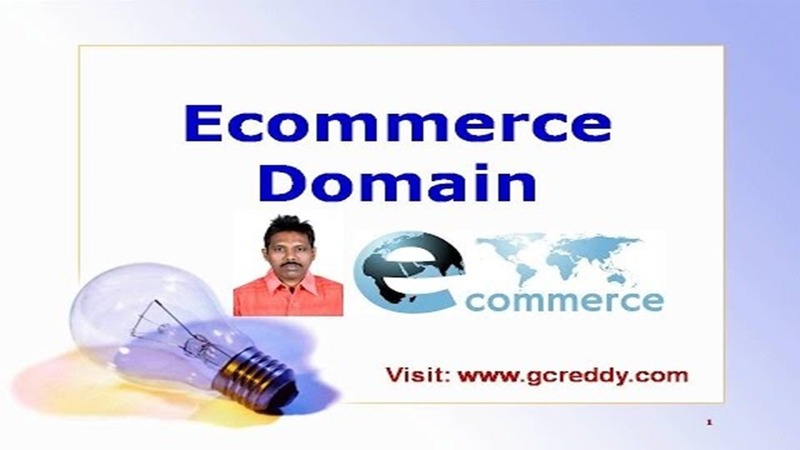 • The entrepreneur has to decide on the initial amount of investment required for an e-commerce Web site, as well as the volume of business of an e-commerce Web site over the Internet. Investment factors and business objectives dictate the type of software, database, or other applications that are required to set up the e-commerce Web site. • There are specific elements involved in an e-commerce system. These elements range from domain name for the site to the merchant account for e-commerce transactions. Each of these elements requires a certain amount of scrutiny before setting up an e-commerce Web site. • Before launching the e-commerce Web site on the Internet, it requires rigorous testing. Some of the important and common types of testing include security testing, software and hardware reliability, and compatibility between all the elements of the system. 12) What is Software Reliability in ECommerce? E-commerce requires software that performs critical tasks, such as creating storefront and a shopping cart, collecting customer data, and providing the payment gateway. This software needs to function correctly. Testing assures the organization of the quality and integrity of the e-commerce solution. 13) What is System Assurance in Ecommerce? The main purpose of system assurance is to deliver a quality product. Conformance to requirements increases the organization’s confidence in the system. An e-commerce system deals with three parties: the bank, the transaction clearinghouse, and the customer. The interdependency of these three parties makes the process of buying and selling over the Internet more critical than in real life. If the faith of any of these parties dwindles in the e-commerce site, the entrepreneurs can lose a lot of money, as well as their reputation. For example, in the case of a faulty e-commerce system, the credit card of the customer may be billed immediately for the complete order, when only a partial order has been filled. Testing must assure that partial order fulfillment and billing are done correctly.